We've got a few styling tricks up our sleeves here at The Style Index, but when it comes to mood lighting and colour blocking outdoors we are happy to admit we are a little tentative. It's exciting news, then, that our man with an outdoor plan or two, Adam Robinson, is holding an outdoor styling workshop, and we are keen to be there. Held at the beautiful Tait Outdoor showroom in Redfern on Sunday, October 20, the workshop will help attendees plan and create the ultimate outdoor space at home. Adam will give tips on how to cool down a space, how to use and add colour, how to create focal points and what plants to use. To rsvp, follow this link. 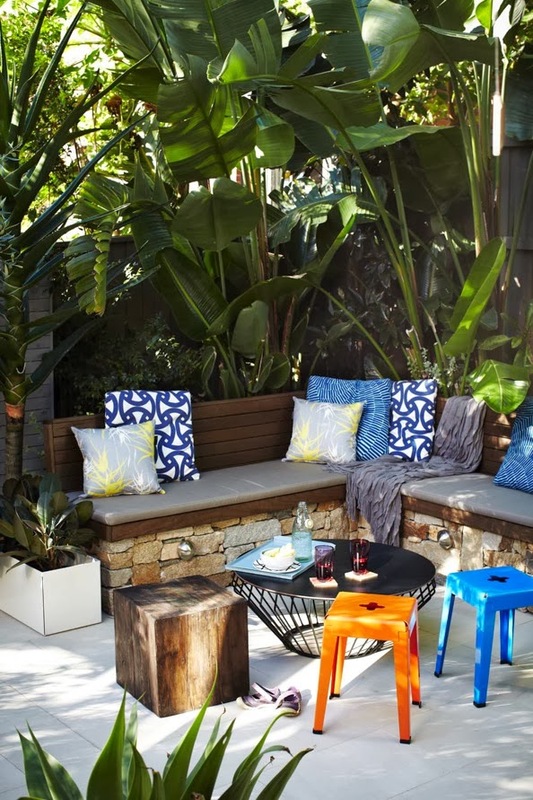 And for more on outdoor furniture trends this summer, see my interview with Adam (as well as Jamie Durie) in a Sydney Morning Herald article.